Blade length : 63.6 cm or 25.0 inches. Sori : 0.8 cm or 0.31 inches. Width at the Hamachi : 2.90 cm or 11.4 inches. Width at the Kissaki : 2.00 cm or 0.79 inches. Era : Late Nanbokucho period. 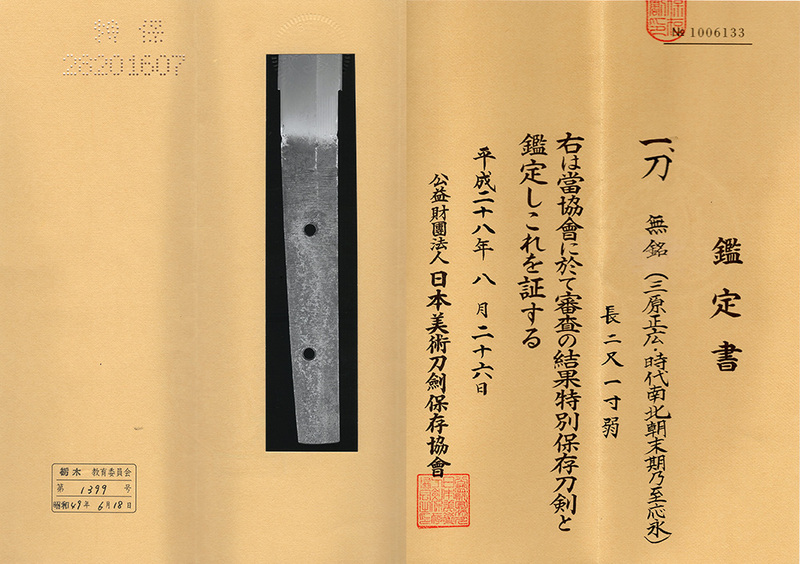 Shape : The blade is Oosuriage Mumei (cut shortened) attributed as Mihara Masahiro. with Jinie attach and also Chikei work. On the surface, Utsuri appear. Shinogiji : Itame-hada, Mokume-hada and Masame-hada mixed. Hamon : Koniedeki Suguha with double Hamon and Utsuri appear on surface. during late Kamakura to late Muromachi period in Bingo province. The most famous swordsmiths here are Masaie and Masahiro. are called Ko-Mihara (Ancient style Mihara), and distinguished from the blades forged later period. by NBTHK paper which is precious because of NBTHK judged the blade not ‘Ko-Mihara’ but with Masahiro’s name. 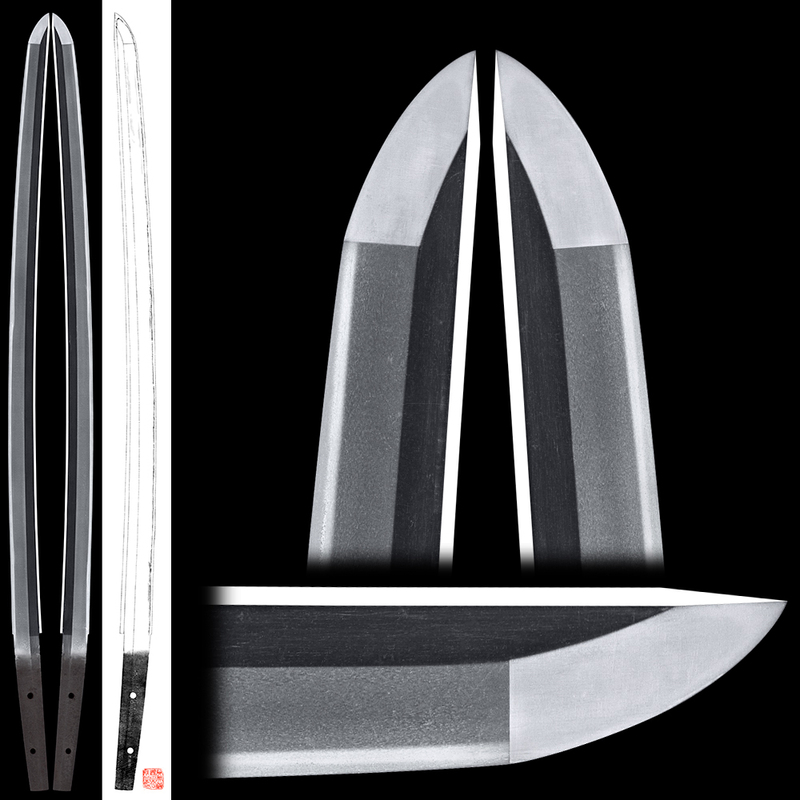 This blade has both characteristics of Yamato and Aoe style. The surface of the blade even look like beautiful Aoe style. Tsuba : Peony flowers are carved on round shape iron Tsuba. Fuchi-Kashira : Tigers and bamboos are carved on Shakudo plate with gold color. Menuki : Some flower are carved on Shakudo plate.